Pre-lay moorings involve the provision and installation of a complete additional drilling rig mooring spread before the drilling rig arrives on location. all whilst improving the efficiency of the drilling programme. The day-rate hire cost of a drilling rig is usually the highest cost element and payable whether the rig is drilling or sitting idle waiting for the moorings to be installed. Depending on the complexity of the well location and a range of factors including seabed conditions, environmental conditions, mooring configuration and weather, it can take between two and six days to set a full mooring spread, plus a further two to four days to recover. This equates to between four and ten days of non-drilling time (NDT) compared with 2x half days to hook up and disconnect a pre-laid mooring. Whilst additional mooring plus extra AHT vessels reduce the net difference in a financial comparison between pre-lay and traditional mooring practices, at nominally less than 25% of the daily cost of an idle rig, the net savings of pre-lay are evident. It is clear that the direct financial benefits of pre-lay are a key factor, but the enhanced safety and integrity are critical aspects for consideration. 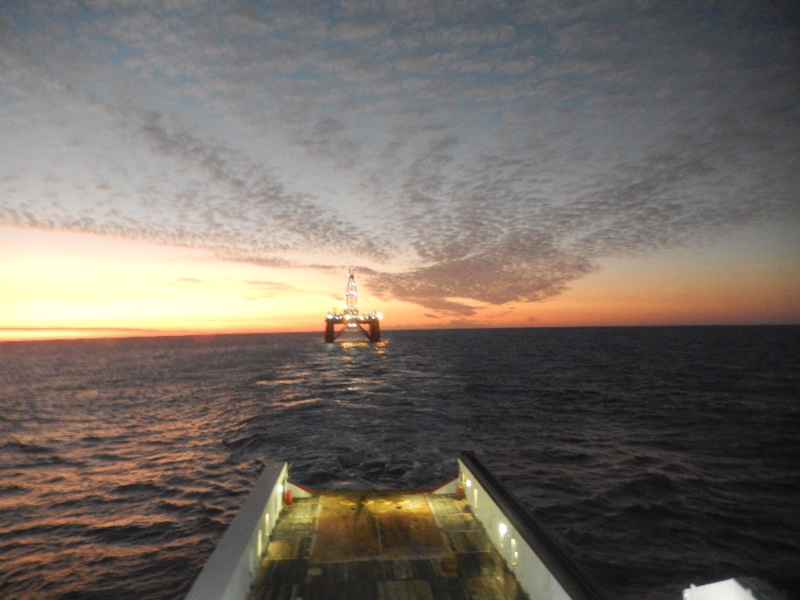 Pre-laying a mooring spread moves this activity off the rig’s critical path and reduces the substantive time (and cost) pressures that holding up a drilling programme entails. Our latest mooring connector, the Inter-M Release allows faster “leap-frogging” between systems thanks to a Teledyne enabled acoustic release system, that can disconnect at the push of a button. Offshore drilling rigs, platforms, MODUs, floating production systems including FPSOs and FSOs, TADs, barges, and drilling equipment often need to be relocated from one part of the world to another or even from the shore to a job site. From our offices in the United States, West Africa, Brazil, the United Kingdom, Asia Pacific and Norway, we are ready to respond to your international and domestic rig move needs.